Doraemon (ドラえもん) is a Japanese manga series created by Fujiko F. Fujio (the pen name of Hiroshi Fujimoto) which later became an anime series and Asian franchise. The series is about a robotic cat named Doraemon, who travels back in time from the 22nd century to aid a schoolboy, Nobita Nobi. 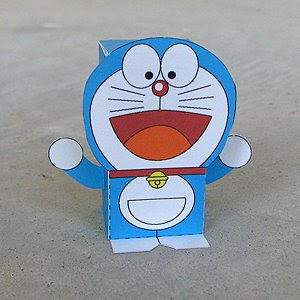 In March 2008, Japan's Foreign Ministry appointed Doraemon as the nation's first "anime" ambassador. This was one of my childhood favorites. grew up watchin doraemon every weekend. still love him to this day!